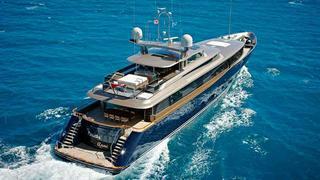 The 2013 ShowBoats Design Awards recognise the design of top superyachts delivered in 2012. 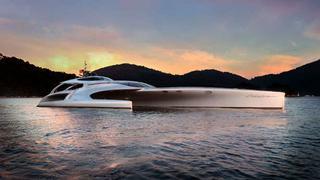 The yachts nominated are beautiful to behold – and have beautiful bones to back up their good looks. Here we present the winners in the categories of Exterior Design & Styling as well as Naval Architecture in both sail and motor superyachts. The jury was sent eight finalists in this category – an indication of both the depth of the class and the difficulty in limiting the field. When the votes were tallied and the selection defended, it was the harmonious flow of 88.5m Oceanco Nirvana’s lines by Sam Sorgiovanni, including the sweeping sheer, that judges preferred. With this “elegance” as the baseline for comparison, they also considered the intersection of other lines to the sheerline, window shapes and the relationship of enclosed superstructure to open deck areas. The exterior paint scheme, with its faux-wood caprail sections adding interest, was also lauded for its richness. With one exception, which the judges said was like comparing a Formula 1 car to a coupe, the six finalists for this prize were of a similar ilk, so the discussion became one of which design distinguished itself visually while giving equal weight to seagoing functionality and the practicality and appeal of deck spaces. It was easy to understand the theory behind Rossinavi’s 45m Aslec 4’s lines, which the jury described as clean, well proportioned and completely in line with the owner’s brief for a yacht designed for summertime family cruising with emphasis on outdoor living and also a request to remain under 500 gross tons. They noted the bold vertical bow and the ease of movement afforded by multiple exterior stairways, wide transom steps and the walk-around bridge deck linking forward and aft guest areas. While noting the obvious limitations on working areas for the crew and exterior deck spaces, the jury awarded the 42.5m power trimaran Adastra built by McConaghy Boats a Judges’ Commendation for her striking exterior design by John Shuttleworth Yacht Designs/Orion Shuttleworth Design. The judges dismayed several times during debates over the four exterior design categories that they were being asked to choose between design extremes. Cries of exasperation brought them no relief from the chairman who ordered them back to the design briefs and their marks for features such as practicality and appeal of deck spaces and design for crew working and technical areas. 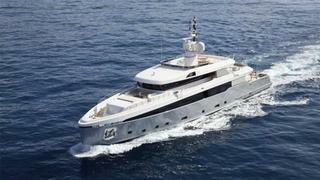 Indeed, there was no other way to evaluate the exterior designs of custom and production yachts of a similar size. Thus focused, they zeroed in on Alloy Yachts’ 47m Loretta Anne and Only Now for their unified design vocabularies, clean lines, effective window styles, functionality and adherence to their briefs. Loretta Anne, with her striking livery chosen by an experienced owner and aggressive lines tempered by the grace and flow perhaps best understood by a sailing yacht designer, rose to the top. This was another eight-strong class in which the judges quickly aligned themselves with the idea that form follows function. With three of the judges coming from various corners of the auto design industry, sailing yachts represented the sort of aerodynamic puzzle they are used to solving and they quickly found the vocabulary to debate yachts as varied as Rainbow and Hamilton on equal footing. While the shape of Hamilton’s coach roof and her carbon-fiber cockpit details intrigued them, their nod — as well as that of the rest of the judges — went to Kamaxitha for mastering the dual roles of cruiser and racer in a design that marries the requirements for traditional design and optimum performance. They found her deck spaces practical and appealing and well set up for crew work; they also liked Dykstra’s design of stow-away displays and controls to eliminate visual clutter when the boat is at anchor. Eight yachts were shortlisted in this category and subjected to the scrutiny of the naval architecture subcommittee, who look at both the hull and appendage shapes and the engineering package, acknowledging constraints and identifying compromises. All the finalists, save one, are cruising boats—although some of those, we noted, will race in superyacht events. 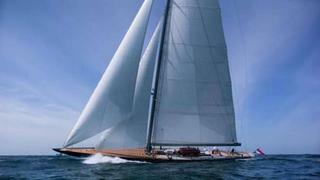 The sole racer, Holland Jachtbouw-built 39.7m Rainbow, is also destined to cruise. Originally, the subcommittee expected one of the modern boats to emerge victorious, but when comparing the design briefs to the yachts’ performance numbers, the members, while enthusiastic about the performances of Better Place and Kamaxitha, were most impressed by the difficult work required to design Rainbow in terms of meeting the requirements of the modern J-Class rule within an existing, historic hull shape. 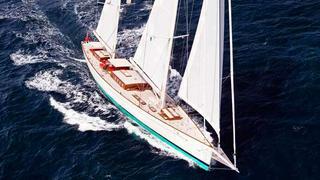 The award-winning yacht _Rainbow _is available both for sale and for charter. 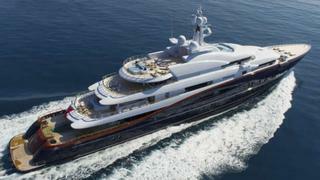 Seven yacht spaces were presented for this category and after two secret ballots, an exuberant discussion and finally a show of hands, the judges remained split and absolutely deadlocked on points between 73.51m Nobiskurg Mogambo’s sun deck and Vicky’s spa — two areas that could not be more dissimilar. Mogambo’s sun deck received high praise not only for its dimensions and elegant use of space, but also for its fresh, linear design. They felt it was spot on target at meeting the experienced clients’ brief for a multi-function outdoor living space with pool, enjoyable both by day and well into the night when it converts to a cinema with lounges that morph for this purpose as well. The small gym, they felt, perfectly exploited views, and incorporating a full shower room within the mast structure added functionality without distorting the profile. Proteksan-Turquoise’s 72.6m Vicky shared a philosophy of multi-functional recreational space, but this occurs on the lower deck, although not completely within the confines of the yacht. 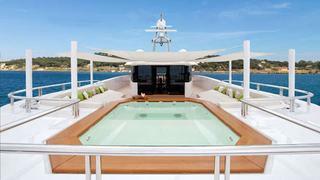 The spa wowed the judges with its spaciousness, seeming more like that of a 90m yacht. To give 150m2 to a spa was a bold move that required bold design. The judges appreciated the flow of the layout and the diversity of areas to engage with others or relax alone. It is unusual to incorporate a living or TV area adjacent to a steam room, treatment rooms or a gym, but they felt the sum of the space, along with the opening terrace at sea level, created an exciting destination within the yacht.